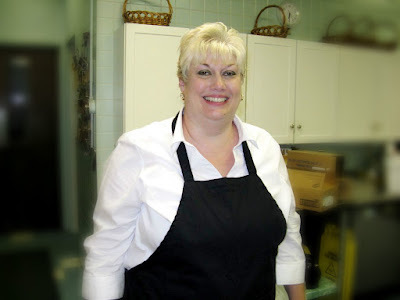 Susan K. is our Food Service Director who joined us within the last 24 months. She brought a wealth of experience in food service for large groups with her and we are all so pleased with her and her staff (some she inherited, some are new). One of the nicest things about this staff is that they are totally open to opinions and ideas re: our meals. Not that they are able (or should) fashion individual meals for us, but they really do work hard at offering a combination of what is good for us and what we really like. (Sometimes those two things match and sometimes they don't!) Susan is also working in sync with our Health Service Director on the "what is good for us" part!